Culham Centre for Fusion Energy (CCFE) PhD student Billy Huang has set up a website for the world's first global tokamak experiment, which began today. 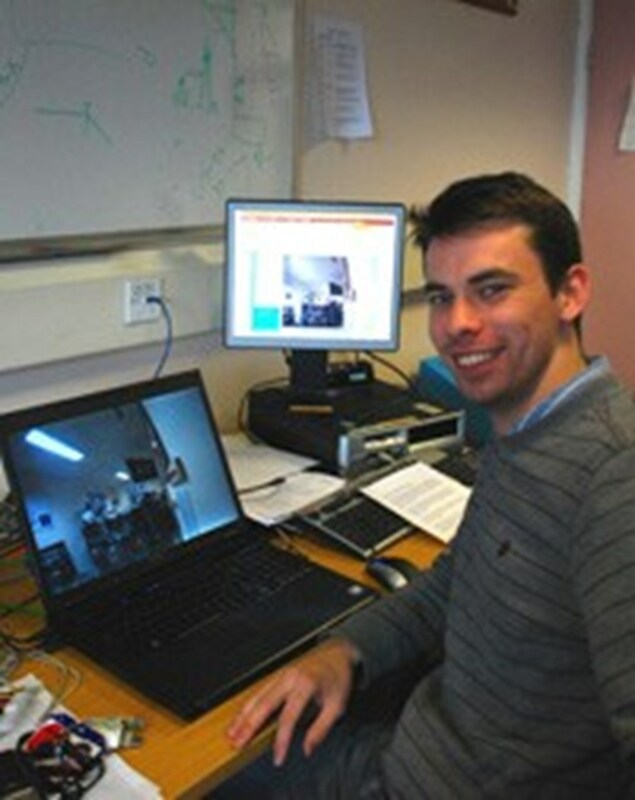 The project allows anyone in the world with a physics background and internet access to apply to have a go at running shots on the GOLEM tokamak in Prague, a machine that has been made remotely operable by Tokamak Engineer Vojtech Svoboda and his team. "The Tokamak Global Experiment is an innovative project that gives participants the opportunity to change real parameters on a real machine, from anywhere in the world," said Billy Huang (pictured right). "Our goal with this project is to get people participating and interested in fusion research around the globe." GOLEM is one of the oldest tokamaks in the world, originating from Russia. Although not nearly as large as JET, GOLEM still produces small amounts of fusion energy and is used as an educational device. Promotion of this initiative, which is run in conjunction with the Institute of Plasma Physics of the Czech Republic and the Czech Technical University, is mainly targeted at university level physics students, but anyone with a physics background is welcome to register to run an experiment (see http://tokamakglobal.com/). On its debut day, the experiment was a success and received 37 applications from ten countries. The organizers plan to run more sessions in the future. "It's been a real challenge setting up the website, but to have so many people from countries across the world already participating in real live fusion experiments is great." Read more about the Culham Centre for Fusion Energy (CCFE) here.